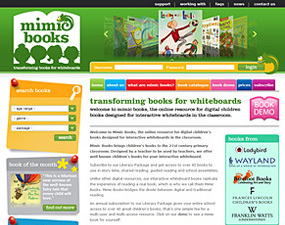 We were approached by Mimic Books who had a unique idea to present 'big books' in schools, on interactive whiteboards. 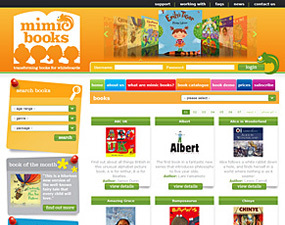 They required an online solution which would mean the books could be delivered online and into schools. They had already met with six other major web-design companies and looked at over forty other web design and print design companies throughout the UK before speaking to us. We built a secure website that could be updated by Mimic Book and which schools could log into and access the flash 'big books'. The website is a fun and easy to use and has been really well received in schools. We have also developed the brand off-line to include stationery, leaflets and pull-up banners.